Please donate to the Fernie Heritage Cemetery Restoration Society Project to help us upkeep the cemetery and records of your past family members. 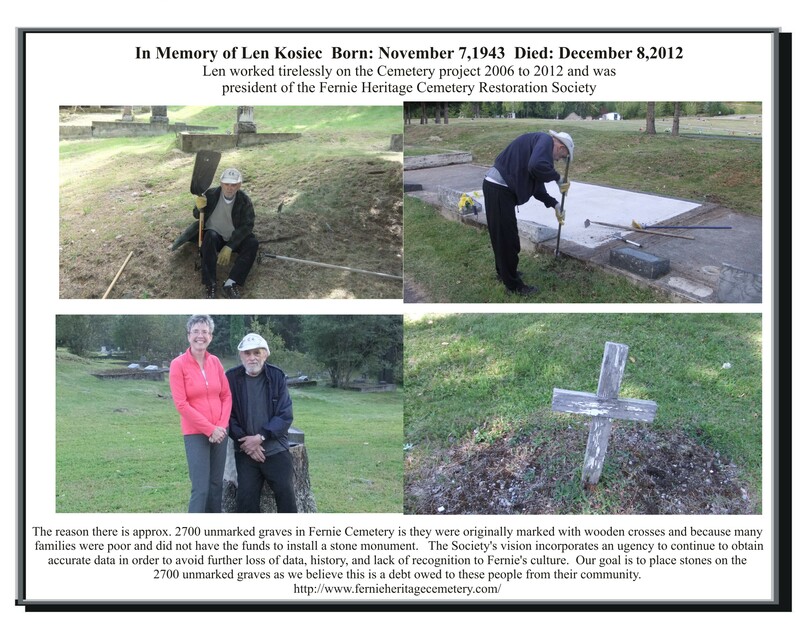 In Memory of Len Kosiec Born: November 7,1943 Died: December 8,2012 Len worked tirelessly on the Cemetery project 2006 to 2012 and was president of the Fernie Heritage Cemetery Restoration Society. Note: 2018 Headstone photos and GPS map locations for all stone in Section A, B, C & D completed. 2018 - FHCRS listing of internees verified A to D sorted by Lastname & Firstname. 2018 - FHCRS listing of internees verified A to D sorted by Section Row Plot. 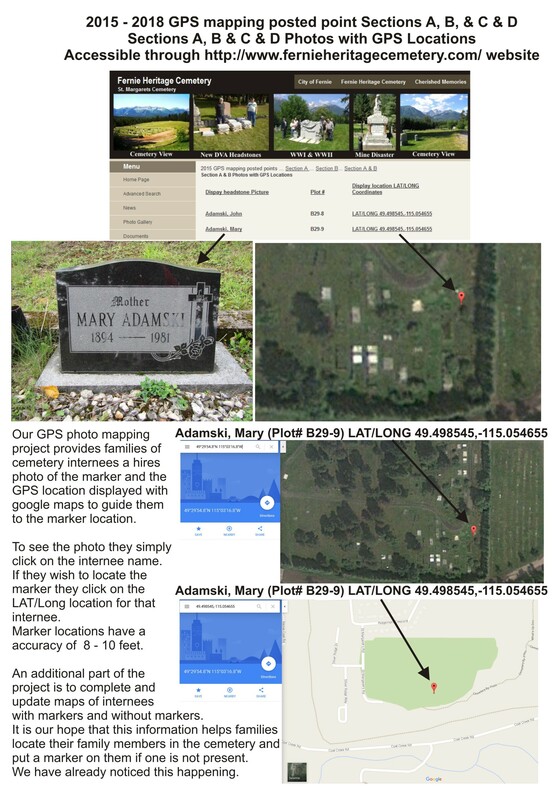 Note: These files are PDF searchable files, so zoom in to 300 percent and use the find to locate grave sites. The Fernie Heritage Restoration Society is pleased to present this website to help you search for your relatives and loved ones. Our project started in 2006. 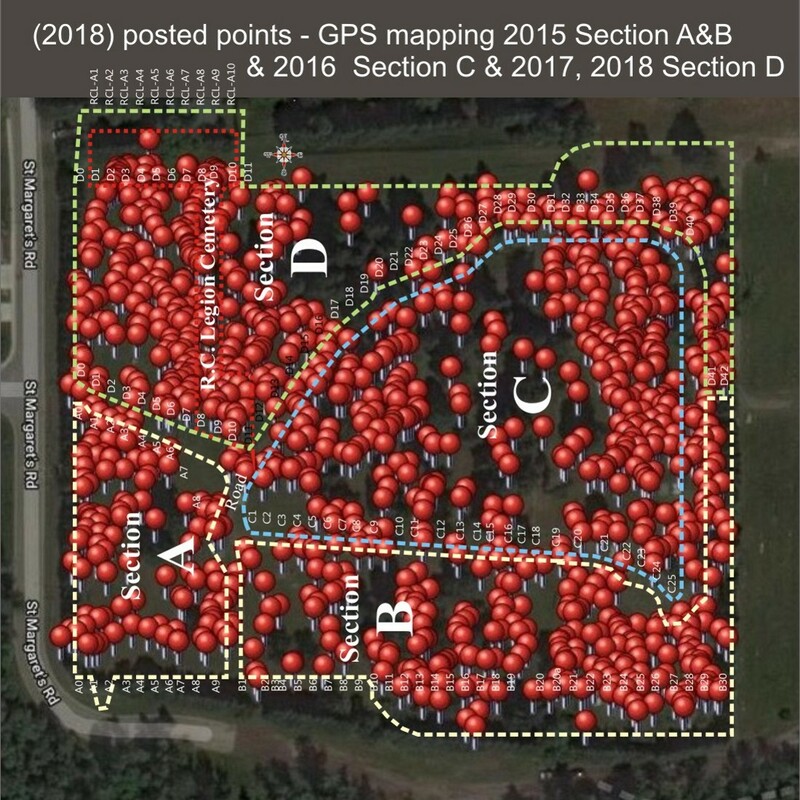 From that date we have made great progress with data gathering, mapping, photographing and record cross referencing of the Fernie Heritage Cemetery. The project continues in 2014 with the final completion of Section C & D mapping and cross referencing, creation of this website, cleaning and straightening of monuments. Initial cleaning and repairing headstones by FHCS was completed in August 2012. FHCS was also involved in the cleanup and restoration of the grave-sites of WW1 veterans in the Legion portion of the FHC. Please contact us if you have additional information that we can correct or can be posted to this website. I.E. Scanned Newspaper Obituaries.Terms and Conditions to use this site.